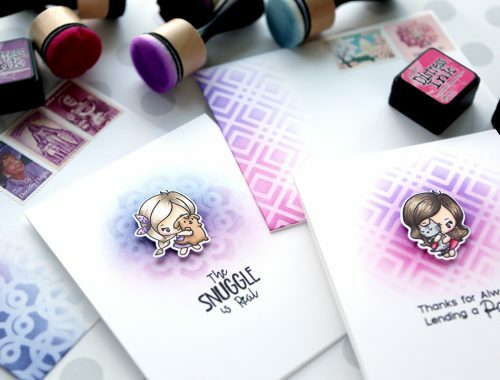 Unfortunately, the kit itself is sold out, but you can still buy a lot of the individual components separately, including the Hello Beautiful stamp set and Mini Hearts Outline dies. 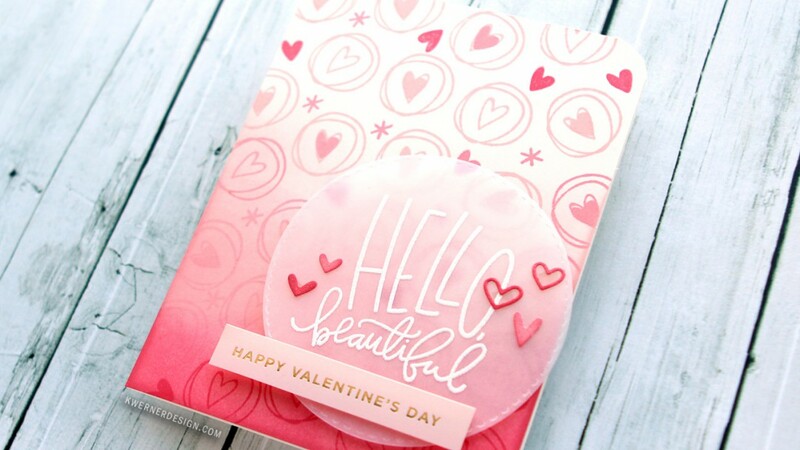 The idea behind this card was to create an ombré look. 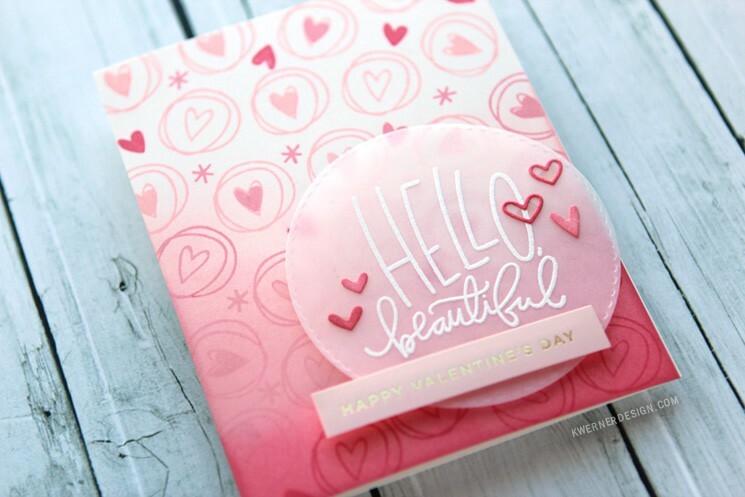 By using three shades of pink ink (see supplies below for exact inks) on top of the Simon Says Stamp Ivory cardstock (from the kit), I achieved a creamy light to dark look. 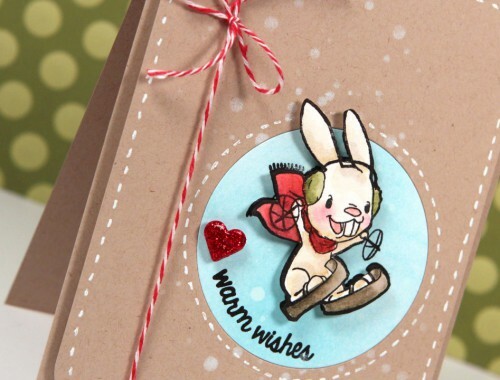 I first stamped the pattern and then blended in color from the bottom of the card using a Mini Round Blending Tool. 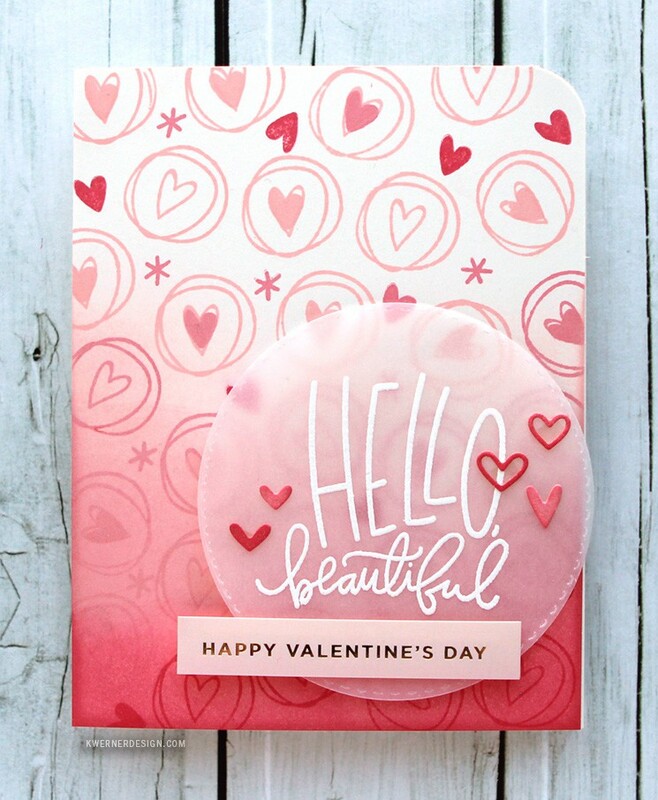 The greeting area was stamped on vellum and heat embossed using Hero Arts embossing powder.